We conclude our year long celebration of 30+ years of recorded rap music with an exhibition of hip hop photography and design. 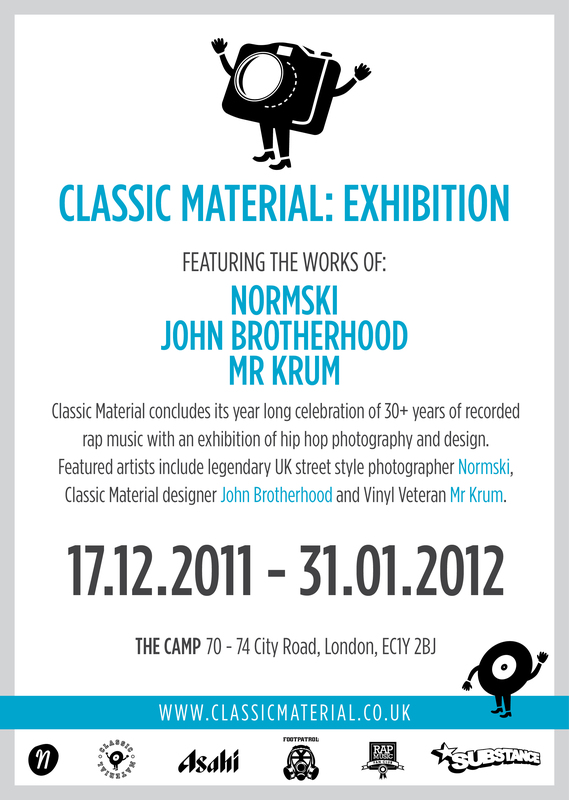 Featured artists include legendary UK street style photographer NORMSKI, Classic Material designer JOHN BROTHERHOOD and Vinyl Veteran MR KRUM. More details here.